Continuing my updates. These types are some of my favorites. There are many clear-cut crossover connections that are very hard to dispute. No costumes, powers, or talking animals. Just good old fashioned sitcom goodness. Today's blog will be about the shows spawned from Archie Bunker. All in the Family was an amazingly successful show for it was really the first sitcom that was political and not afraid to talk about current issues. It spun off many shows, that then they spun off shows. And then all those shows had crossovers. Which means fun for me!!! I also started to notice cartoon events like the annual networks previews shows that would combine all their cartoons in the same universe. And I would also notice the live action shows. 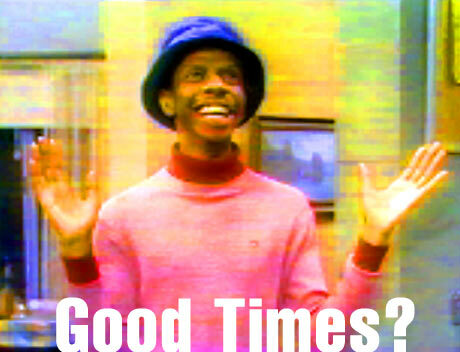 Facts of Life characters appeared on Diff’rent Strokes. Mork had met the Happy Days gang and Laverne & Shirley. Trapper John M.D. had been on MASH. Maude was related to Edith Bunker and George Jefferson used to be Archie’s neighbor. So let's go with the chronology. 1971 to 1979--ALL IN THE FAMILY--The story of the Bunkers. Archie Bunker is a working man with very opinionated, conservative, and bigoted views. His wife Edith is kind,but ditzy. And then his daughter without notice marries a really liberal hippy, who then moves in with them. Hilarity ensues. Also a note: In the background, as part of the living room decorations of the Bunker home, was THE MALTESE FALCON, though it's unknown if it was the real one or a replica. 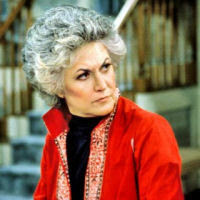 1972 to 1978--MAUDE--Maude was Edith Bunker's cousin. She was loud, she was straight-forward, and very liberal and feminist. Archie hated her, but hilarity ensued. 1974 to 1979--GOOD TIMES--Florida Evans was the maid for Maude. She was an interesting person, so her family must be as well. They were. Especially, her son, JJ, who was dynamite. 1975 to 1985--THE JEFFERSONS--George and Louise Jefferson were neighbors of the Bunkers for years. They were black. Of course, Archie, a bigot, didn't like this. To make matters worse, George was very much like Archie. George owned a dry cleaning business, that was so successful is spawned a chain of stores. The success meant more money, and George was too good to live in a neighborhood with Archie. (Yes, irony.) They moved into a penthouse, got a maid, had lots of white neighbors to drive George nuts. Hilarity still ensued. 1978--MR. DUGAN--The story of a black congressman and his staff, in transition, their story moving from MAUDE to HANGING IN. 1979 to 1983--ARCHIE BUNKER'S PLACE--Edith has died. Gloria divorced her husband and moved away with her son (did I mention they had a kid?) Archie has taken in and adopted his niece and bought a bar. Hilarity, um, ensued? To a lesser extent. Less political humor, more family entertainment. In case you haven't figured it out, THAT'S OUR RALPH! is a completely made up TV series. It was an April Fool's Day prank. 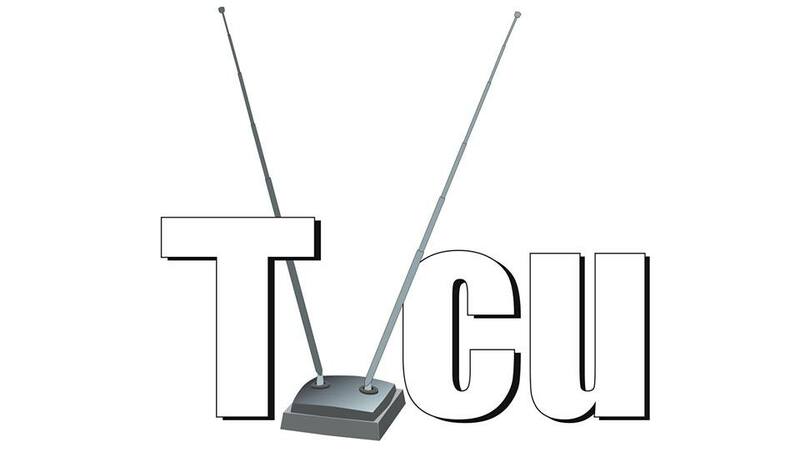 It was a lot of fun trying to create a fake TVCU blog that seemed real, and I thought I'd share the process. All in the Family/Gloria Crossover--This was around the time of the Gloria spin-off, and I was looking for a real classic sitcom to cross over with. 1982 to 1983--GLORIA--Gloria Bunker Stivic and her son Joey move away to get a fresh start after the divorce from Michael. Hilarity tried to ensue. 1987--THE TWELVE PAINS OF CHRISTMAS--Archie Bunker is asked to perform as part of the recording of "the Twelve Pains of Christmas." 1994--704 HAUSER STREET--This was the address of the Bunkers. A new family has moved in, and hilarity didn't really ensue. It makes me think what became of the previous residents. Well, we know Edith died, and Gloria and Joey moved away, and with Micheal divorced, he wasn't living there anymore. Archie's niece was all grown up and so most likely went off to college and then got her own place. But what happened to Archie? Did he die? Go to a retirement home, a fate worse than death? We did have confirmation (besides the same set and address) that this was once the Bunker home when Joey Stivic stopped by once to visit his family's old place. February 1995--FRESH PRINCE OF BEL-AIR--"Will is From Mars"--Will Smith goes to couples counseling. Another couple attending is George and Louise Jefferson. TVCU-29-Skitlandia and non-canon commercials: On the show MAD TV, the events of ALL IN THE FAMILY occur in the year 2001 rather than the 1970s. On the show IN LIVING COLOR, the Bunkers were black. Archie and Gloria Bunker also appeared on THE SONNY AND CHER COMEDY HOUR. Louise Jefferson (the fictional character) also appears once on Candid Camera. Tom Willis appears on THE RERUN SHOW. JJ Evans also appeared on SATURDAY NIGHT LIVE. TVCU-33-Earth-Prime/real universe/reality tv--NIGHT AT THE MUSEUM: In this universe (which may be Earth-Prime), the chair used on the show ALL IN THE FAMILY is seen during THE BATTLE OF THE SMITHSONIAN. In the real universe, that same chair is at the Smithsonian. TVCU-80-NOT ANOTHER SPOOF MOVIE UNIVERSE--George and Louise Jefferson appear in JANE AUSTIN'S MAFIA!